What the nature of the church is in covenant with God and how it relates to covenant ideas about the manner of salvation. Our present subject is a wide one. It comprehends the covenants of God–his covenant of works and covenant of grace. It is very obvious that because God is an intelligence he must have a plan. If he be an absolutely perfect intelligence, desiring and designing nothing but good–if he be an eternal and immutable intelligence, his plan must be one, eternal, all-comprehensive, immutable; that is, all things from his point of view must constitute one system and sustain a perfect logical relation in all its parts. Nevertheless, like all other comprehensive systems, it must itself be composed of an infinite number of subordinate systems. In this respect it is like these heavens which he has made, and which he has hung before our eyes as a type and pattern of his mode of thinking and planning in all providence. We know that in the solar system our earth is a satellite of one of the great suns, and of this particular system we have a knowledge because of our position; but we know that this system is only one of myriads, with variations, that have been launched in the great abyss of space. So we know that this great, all-comprehensive plan of God, considered as one system, must contain a great many subordinate systems which might be studied profitably, if we were in the position to do so, as self-contained wholes, separate from the rest. Now, this plan is in effect a covenant. A great many, comparatively recently, have come to doubt whether it is proper to apply terms so human to the transactions and relations of God. And yet I do believe that I can show to you that the very facts of the case justify this language, and that they implicitly and necessarily contain all these principles. 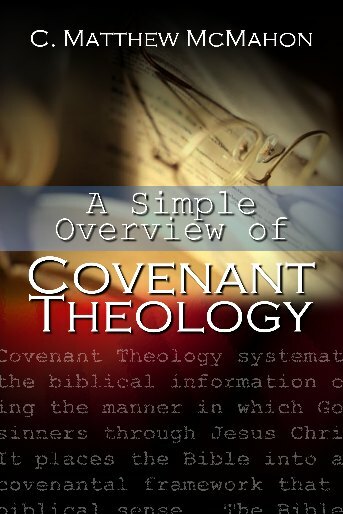 The term “covenant” is not commonly found in ancient theology. Hints of it–that is, the recognition of God’s plan and purpose–began to appear in the century preceding the Reformation in the Roman Catholic Church, and then among the first Reformers. 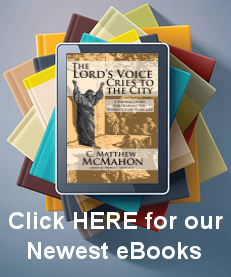 It was developed very distinctly afterward by one of the authors of the Heidelberg Catechism. That form of theology itself is generally attributed to the agency of Dutch theologians, who introduced it about the middle of the seventeenth century. But it is found in the early part of that century, in a book of great simplicity, called The Body of Divinity (compiled by Archbishop Usher, who was a man of very great learning). Now, I believe that some foreign divines, and some in England, carried out this covenant form of theology in detail in a manner that might be called anthropomorphic. 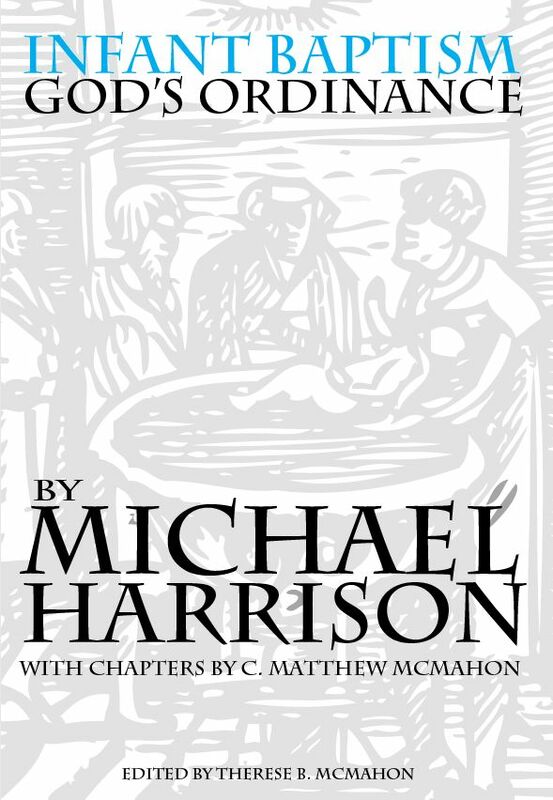 Yet it is evident that if God’s dealings with man are ethical, if in their essential nature the system of redemption grew out of the relations of persons, and if the process consisted in the way of teaching, of commandments, of promises, of threatenings, of the presence of motives addressed to the will, and of determinate actions of form and character, then, in its last analysis, all the dealings of God must necessarily come back to this form of a covenant. What is the essence of a covenant between equals except a mutual understanding and the agreement of two wills ? What is the essential nature of a covenant formed between a superior and inferior but this–a conditional promise? The promise is a reward on the condition of obedience, associated with threatening of punishment on the condition of disobedience. It follows from this, necessarily, that if you begin with an eternity, an eternal plan of God must be a mutual one in which the three Persons come to an understanding and knowledge of that common purpose in which they distribute among themselves reciprocally their several functions. Then when God comes to deal with any intelligent creature, whether it be an angel or a man, under any circumstances, if he commands or promises, or if he threatens, you have there all the elements of a covenant, because a, covenant is simply a mutual understanding, and the covenant imposed by a superior upon an inferior is simply a conditional promise. Hence we have the covenant of works, the covenant of redemption, and the covenant of grace. Now, the covenant of works is so called because its condition is the condition of works. It is called also, and just as legitimately, the covenant of life, because it promises life. It is called a legal covenant, because it proceeded, of course, upon the assumption of perfect obedience, conformity in character and action, to the perfect law of God. And it is no less a covenant of grace, because it was a covenant in which our heavenly Father, as a guardian of all the natural rights of his newly-created creatures, sought to provide for this race in his infinite wisdom and love and infinite grace through what we call a covenant of works. The covenant of grace is just as much and just as entire a covenant, receiving it as coming from an infinite superior to an inferior. Now look precisely to the facts in the case. Let there be no speculation, let there be no inferences, but take the facts as they are. In the first place, God created man, as we saw in our last lecture, a newly-awakened being, intelligent, moral, with free-will, with a natural character through which he was able to do right, able to do wrong, apparently. In the second place, we know it to be a universal principle–and as it is of God, it seems to us to be a very just principle–that holy character is made to depend upon personal choice. But it does not seem to me that this is always and absolutely essential. We know that the immutable, holy character of God did not originate in personal choice; that God’s existence is eternal; his existence is absolutely necessary, absolutely immutable, and that God is from eternity and essentially God, rational, holy, and wise. And yet it does seem as if God had determined to make the moral character of all the subjects of his moral government to depend upon personal choice; and it seems to us as if that was right. He made man, in the first place, holy and capable of doing right, but without a confirmed character he was liable to fall. Ought this confirmed character to result from and depend upon his own personal actions. I say that this seems to be God’s plan everywhere, because we find it true, without exception, wherever we have any record of God’s doings. In the first place, He created the angels, and gave the angels an opportunity of obedience or an opportunity of falling. Each one of them seems to have stood in his own person, and those who fell remained fallen. Those who maintained their first state continued afterward absolutely and eternally in the image of God. Then when God brings forth the gospel, his method is to preach the gospel to every creature, and to offer to all men this amazing gift of eternal life which covenants confirmed moral character, and which we may receive or refuse according to our personal choice. Then, if this were so, obviously man must have had a probation–a probation in its very essence, because a time of trial and state of trial must be given. That is, God put man in a state of existence, in a state of moral equilibrium. He was in equilibrium because he was holy. His heart was disposed aright; his impulses were right. God endowed him thus with original righteousness; but he was in a state of freedom. His character was not confirmed; he was capable of either obeying or sinning. Now, it would have been an infinite loss to us, an inconceivable danger, if God had determined to keep us for ever, throughout all the unending ages of eternity, hanging thus upon the ragged edge of possible probation, and always in this unstable condition, this unstable equilibrium, able to do right, and liable also to fall; and, therefore, God offered to man in this gracious covenant of works an opportunity of accepting his grace and receiving his covenant gift of a confirmed, holy character, secured on the condition of personal choice. God gave Adam and Eve the best chance he could, and he put them surely under absolutely the most favorable conditions that we can conceive of. He brought them into a new garden, and he introduced them under the most favorable circumstances, with one exception–he allowed the devil to go into the camp. Why he did that I do not know; but with that exception the conditions were the most favorable we can conceive of. Then he reduced the test to the simplest and easiest–the test simply of a personal violation of law, a test simply of loyal obedience. He did not make the condition, Thou shalt not lie; which, under the circumstances, would have been utterly impossible to Adam, who was a holy, honest man. He did not make the condition, Thou shalt not abuse thy wife Eve; which would have been impossible with Adam in his state as he was originally created. But be reduced the condition to one of specific obedience to a positive command, in itself absolutely distinct. Now, the only difficulty that seems to inhere in this view of man’s original condition lies in the fact that the destinies of all Adam’s descendants were made to be suspended upon his action. We all inherit what we call original sin. And two questions here start up, the question as to how original sin comes upon us, and the question why original sin, under the government of a holy God, is allowed to come upon us. If this be so, we must believe in the covenant of works, and that God has ordained this relation, not only in infinite wisdom and in infinite power, but in infinite justice and righteousness. But this fact of the covenant of works does not stand by itself. It is a part of a great whole, and if you leave out any element of the system you will not get an understanding of the covenant. This covenant of works which God introduces, and the subject of which is the government of man and his whole career in this world, is part of that greater system which culminates in the covenant of grace, with its headship in the first Adam introducing us into the headship of the second Adam. There has been no Christ except among men. “Forasmuch then as the children are partakers of flesh sad blood, he also himself likewise took part of the same……For verily not of angels doth he take hold, but he taketh hold of the seed of Abraham.” Angels had a nature, but angels did not have a seed. Christ’s relation to the seed of Abraham results from the generic nature of maxi, from the very constitution of the covenant of works. If there had been no covenant of works, there could have been no covenant of redemption; if there had been no fallen Adam, there could have been no redemption in Christ. You must study the covenant of works always in the light of that larger system wherein it is established that where sin abounded grace has infinitely more abounded. Further: we say, then, that if the Father and Son and Holy Spirit constitute one Trinity, the plan must be a mutual one, and must contain within it all the elements of such a plan. According to the intimation of this plan given in the Bible, the Father must be an absolute God; the Son must represent his own people, whose nature he was to take. We know such an arrangement was made. Christ often speaks of the work which his Father, God, had, sent him to do. Be says, ” This commandment have I received from my Father.” Then he says, “All that the Father giveth Me shall come to Me.” Here are all the elements of a covenant. There was an understanding between the Father and the Son as to the reward which the Son was to gain, so that we have all the elements of the covenant of redemption. The Father undertook all the providential conditions; the Son was to do all the work in the world, and to that end the world is to be prepared for it, and that he might have the proper conditions of life, and afterward that he should see his seed and be satisfied with the results, with the crowning fruits that he should receive. Then the Son undertook, on behalf of his own people, to take upon himself their nature, to meet their obligations, and to suffer the penalty which had been pronounced upon them. The Holy Ghost undertook also afterward to apply these benefits, and undertook this part of the work because it is the covenant of three Persons, you must remember. He undertook the work of generating the body of the Son, of preparing his human nature, an entire human nature in its fulness, so as to render Him , on the human side, a proper. being. The Holy Ghost undertook to co-operate with him in every part of his earthly being, and then to constitute himself the other Advocate, which completes the whole work of redemption. He comes to us and takes the things of Christ and applies them to us. He makes continual intercession within us as Christ makes continual intercession for us. Now, what is commonly called the covenant of grace as distinct from the covenant of redemption is just the human and external side of this eternal covenant of redemption. Both the covenants are executed in our behalf, both under one name, the covenant of grace. It is better, however, to distinguish them, and to call the covenant between the Persons of the eternal Godhead, the covenant of redemption, which is eternally transcendent, and which is full of light and love, and life and power, the provisions and scope of whose grace transcend the imaginations of man or the tongues of angels. But the covenant of grace is just the human temporal side, which makes human redemption possible and gives its benefits freely to us. In the case of every one to whom the gospel comes, and to whom it gives salvation, it is done upon the condition of faith. Now, here is a covenant with a condition whosoever believes shall be saved, whosoever believeth not shall be damned. Then the Lord Jesus Christ comes to view and is represented as the Mediator of the covenant, because it all depends upon his mediatorial work, and, above all, he is represented as the Surety. We promise and he indorses. You promise faith upon your knees, and the Lord Jesus Christ indorses for you. You promise service upon your knees, and the Lord Jesus Christ indorses for you. You see how much it is that God asks of you. He says you hall be saved. If we have no belief, we are utterly incompetent to attain to that salvation. Christ gives us faith: we promise trust, and Christ indorses it. We are offered salvation if we will serve; but we have no strength, no merit. Christ gives us the grace: we promise, since Christ indorses it. We are offered salvation if we fight the battle and persevere unto the end: we make our pledge, Christ indorses it. Thus our salvation is absolutely and infinitely secure. Now, of course this covenant sustains to the whole work in the whole sphere of redemption the same relation as the constitution of a republic or of a limited monarchy sustains to the government of a land. Potentially, all the powers of government, all the elements of political society, are represented and granted in the provisions of our constitution; and so, potentially, all the elements of salvation, everything that can be experienced in the body of Christians in the earth, everything that can be distinct to the soul of the Christian on earth, everything that can be experienced throughout all eternity, everything that can be realized in the individual, everything that can be realized in the community, the whole body of the redeemed–all this is contained potentially in the provisions of the covenant of grace. But this covenant, like all other covenants and constitutions, must be administered; and there is a difference between the covenant and its administration. The covenant is one; it is the administration which varies continually. This is a form of language which it would have been very well for the translators of our Bible to have adopted. The Greek word diatheke means constitution as much as anything else in the world. It is a constitution. In the old classical language it was used to express that kind of a constitution which a man makes when he makes a will, a testament. You have the unalterable inheritance, and you can never get rid of it. I prefer the old Latin word “dispensation” to the words New Testament and Old Testament. These are not proper terms. The diatheke occurs dozens of times in the Bible; you can see the use of it and determine the sense–the constitution, the administration of the constitution. That is, it is a covenant or it is a dispensation of God. If you will then just go back to your Greek concordance and take up your New Testament where this word first occurs, and carry it through, you will find how exactly it has this meaning. You see that covenant, or constitution of grace in the form of a covenant, which provides for the salvation of man from the beginning of the history of the human race to the present. So there has been but one redemption, there has been but one atonement and one offer of justification, there has been but one offer of regeneration, there has been but one principle of sanctification, there has been but one operation of Father, Son, and Holy Ghost, from the time that the first gospel was preached to the woman in the garden, until the present day. But then this wonderful constitution has been administered in an infinite variety of ways, and it is capable of twofold unfolding. You take up this constitution, and subject it to a logical unfolding, and you have in it, of course, all possible theology. It has been shown over and over again how all the unfolding of God’s plans, as far as those plans have been disclosed to us, and can be exhibited, makes manifest infinite variations and provisions for the redemption of men which can be exhibited under this form, logically and unvaryingly. There is a second unfolding of the covenant of grace which is chronological: not only is it unfolded logically in itself, but it brings out all the different elements in time. It has been unfolded chronologically from the Garden of Eden up to the present time in the wonderful development of the Church of the first-born, the Church of the covenant, the Church purchased by Christ’s blood. What is the Church ? There is one thing certain about it: the Church has a great many attributes, but that which is absolutely essential is its absolute unity. There is no doubt if there be but one God, there is but one Church; if there be but one Christ, there is but one Church; if there be but one cross, there is but one Church; if there be but one Holy Ghost, there is but one Church. This is absolutely settled–there can be but one Church. We have heard about the visible and invisible Church, as if there were two churches. There cannot be two churches, one that is visible and another that is invisible. There is but one Church, and that Church is visible or invisible just according to the eye that is looking, just according to the point of view taken. Now, I take the true distinction to be, the Church as we see it, the normal Church, and the Church as God sees it. In respect to this matter our vision is limited in the way of discrimination. You and I cannot discriminate in regard to the Church; we have to take presumptions, we have to take the outward indications, when we make an examination. God’s eye is absolutely discriminating. Looking down, he sees the line of demarcation which separates the Church and the world; his vision is sharp and keen. Then, again, our view is not very comprehensive; we see what we call the Church, and we conclude that it is the Church. I have often thought of this as an illustration. I ask a man, “Have you seen the planet, the Earth? ” he would say, “Yes, I live on it.” That is one of the reasons you never saw it. You never saw the planet Earth as you see the planet Jupiter; you never saw the planet Earth as you see its satellite, the moon. It is absolutely impossible; you are too near it; you see but one little segment of it; nothing but a fraction–a very little at a time. You must get away from the object in order to take it in as a whole, and you must have the advantage of perspective. So in regard to the Church: it is so vast, it has been gathering through the ages, through the centuries, through millenniums; its members come from the ends of the earth; and myriads, ten thousand times ten thousand and thousands of thousands beyond the calculations of angels, have been gathering there in white robes around the throne of Christ. Can you see it ? We are too purblind, too earthly in our conditions; but we may see a part of it. What is called the invisible Church is the most conspicuous object in the universe; it has come to shine, to be like the Sun, and like an army with banners. What is called the invisible Church is the only Church that exists. We see parts of it; it becomes visible to us in sections, in partial glimpses; but yet it is the same Church. Now, the distinction I make is, the Church as God sees it, and the Church as man sees it. There have been two distinct conceptions of the Church: one is the theory that the Church consists of an organized society which God has constituted, that identity consists in its external form as well as in its spirit, and that its life depends upon continuity of officers from generation to generation This is held by a great many able men, men of intellect, and by many respectable, level-headed Christians as well. I hold this to be simply impossible. The marks of the Church are catholicity, apostolicity, infallibility, and purity. Now, apply that to any corporation–to the Church in Jerusalem or to the Church in Antioch; to the Congregational Church, to the Presbyterian, or to the Prelatical Churches. I do not care as to the form; but there never did exist, and there does not now exist, any organized society upon the face of the earth of which these qualities could be predicated. Not one of these societies has apostolicity–that is, precisely the apostolic form as well as the apostolic spirit; not one of these societies has had an absolute organic continuity, or has, without modification, preserved it. Societies, like the Church of Rome, which are most conspicuous in claiming these marks for themselves, are most conspicuously unworthy of them, because there is no comparison between their ritual of service, their organization, and the apostolic Church with which they claim to be identified. The only possible definition of a Church is that it consists of what is termed “the body of Christ”–that is, human souls regenerated by the presence and power of the Holy Ghost, kept in immediate union with Christ. Of this you can predicate apostolicity, catholicity, and the sanctifying power and perpetual presence of the Holy Ghost, which belongs to the Church of Christ. This is the true Church, which exists through all the successive generations of men, which is united to Christ, and which shares in the benefits of his redemption through the indwelling of the Holy Ghost. This great body is one because the Holy Ghost dwells in it and makes it one. This Church is apostolical, because it is unchanging as to apostolic doctrine; it is catholic, because it contains in one body all of God’s people in all worlds and in all time; it unites all from the creation of the world to the coming of Christ, and all from the coming of Christ to the end of the world, in one body–absolutely one, both visible and invisible. But you may ask me, as a good Presbyterian, a High Church Presbyterian–because we have a High Church as well as a Low Church—you may ask me, Do you not think there is a visible Church? Yes, I believe the true Church is visible. It consists of men and women who are regenerated, who have divine life, and whose divine life is shown in their holy walk and conversation. You ask if the Church must not be organized ? I say yes; but organization is never an essential of the Church. Organization is a simple accident; it is a necessary accident; it is a very important one with us; it is, according to our mode of thinking, obligatory, because it is commanded. By means of organization we have solidification and growth, and it is a great means of self-propagation in accomplishing the great missionary work of carrying the gospel to the ends of the earth. But Christ never did make organization needful in the sense that our being Presbyterians is an essential of the Church. You and I believe that immortality is provided for all souls before birth, as well as after birth, and for infants that have not come to free morel agency, irrespective of their knowledge of Christ. Now, think of the history of the world since Adam: all the souls of those that have died before birth or between birth and moral agency have been redeemed in Christ. You see that organization cannot be the essence of the Church. I tell you that the infinite majority of the spiritual Church of Jesus Christ come into existence outside of all organization. Through all the ages, from Japan, from China, from India, from Africa, from the islands of the sea, age after age, multitudes flocking like birds have gone to heaven of this great company of redeemed infants of the Church of God; they go without organization. Now this is demonstration: that if the great majority of the Church always has existed outside of organization, then organization, while of assistance, is not essential to the Church. You may add church to church; these are but the incidental forms which the universal Church of God assumes on different occasions under the guidance of the Spirit, under the guidance of God’s providence, as great propaganda for the purpose of accomplishing the great and divine work of carrying the gospel to the ends of the earth. The Church had its beginning in the family. The plan of redemption assumes and presumes the original state of human beings as in the family. How has the Church been logically and chronologically composed? In the first place, we have what is called the patriarchal administration in the original constitution of the race. There was no organization of the Church then; there was not much organization in the world, none of the state as distinct from the family. The father was the sovereign; the great father–that is, the patriarch–was the head of the Church; and just as Adam had led his descendants away from God, so under the covenant of redemption did these patriarchal fathers, these prophets, priests, and kings, lead their people back to him. In that age there was no priesthood, there were no sacraments. The next form was the Abrahamic dispensation, which was a more specific promise to the Church, the promise connected with the covenant of grace. There was more light, more doctrine, and we have here the specific sacrament of circumcision which was added to the specific covenant. Then we come, in the third place, to the Mosaic dispensation. It is well recognized that the wonderful phenomena of this dispensation must be understood as presenting a threefold aspect or character, and it becomes very much more simple when we do this. In the first place, these Jews were a people who, in their own time, constituted a distinct nation. God was their God, and a large portion of his providences toward them had reference simply to their temporal interests and to their relations as a specific people. They had a government which guarded the relations they sustained. to other nations; therefore you must understand a great many of their laws with reference to this specific characteristic. The Jews were constituted a kingdom, and God was their God. Another far more important aspect of the Jewish system was this: it was a promulgation of the covenant of works which was introduced at Sinai, and the design of this promulgation was to lead those generations to the gospel, for the gospel presupposes the law. The law has been from the beginning the schoolmaster to lead us to Christ. Therefore in this aspect it was a missionary institution, and must be understood as preparatory; it was the preaching of the doctrine of sin and condemnation in order to prepare man for the preaching of the doctrine of grace and salvation. Then, again, it did most characteristically in the specific form of its administration outline the covenant of redemption; it was the setting forth of Christ–Christ as the Prophet, Priest, and King–in the method of his redemption and our personal reception of its benefits. The conditions of salvation were the same, and salvation was secured by the same plan. The Jew, if he believed in Christ’s coming, was justified and received the Holy Ghost, although without understanding it, and was regenerated, sanctified, and justified; and being thus justified and sanctified, when he died he went to be, not with Christ–there was at that time no incarnate Christ; he did not exist–but he went into that happy place in which God gathered all his Old Testament people–in Abraham’s bosom. Now, how shall we regard the logical unfolding of the covenant from the time of Moses to the time of Christ? First, we have the breaking down of the middle wall of partition by the taking away of the limitation presented by the institution of the Church as a nation: it was confined under these circumstances to one people; it was incapable of being expanded among the nations of the earth. It is a remarkable fact that the Old Dispensation opened with the tower of Babel and the confusion of tongues, and the New opens with the Pentecost and the gift of tongues. The Old Dispensation began with the process of selection and exclusion: there was an election of the children of Israel out of all mankind, and a rejection of all the rest; a selection of the Israelites out of the Hebrews, and the rejection of the rest; and the selection of Judah out of Israel, and the rejection of the rest. But now see how the principle changes. Under the Old Dispensation it was exclusion and segregation; under the New Testament it is expansion and comprehension. The new Church begins in a little upper chamber in Jerusalem. The Church becomes the Church of the Jews; it becomes the Church of the Roman empire; it becomes the Church of Europe; it becomes the Church of the world. Now, as to the unity of this Church I have something to say. A great many are agitated at present with regard to Church unity and its manifestations, and I think there is a great deal of confusion of thought as to the original conception of the Church itself. If the Church be an external society, then all deviation from that society is of the nature of schism; but if the Church be in its essence a great spiritual body, constituted by the indwelling of the Holy Ghost through all the ages and nations, uniting all to Christ, and if its external organization is only accidental and temporary, and subject to change and variation, then deviation of organization, unless touched by the spirit of schism, is not detrimental to the Church. I do believe that God’s purpose, on the contrary, has been to differentiate his Church without end. You know that the very highest form of beauty of which you can conceive, the very highest form of older, is multiplicity in unity and unity in multiplicity; the higher the order of unity, the greater must be the multiplicity. This is so everywhere. Go to the ocean: every drop of water is the repetition of every other drop, and there is union simply without diversity. Go to the desert of Sahara, and every grain of sand is the duplicate of every other grain of sand; but there is no unity, no life. You could not make a great cathedral by piling up simple identical rhomboids or cubes of stone. It is because you differentiate, and make every stone of a different form in order to perform a different function, and then build them up out of this multitudinous origination into the continuity and unity of the one plan or architectural idea, that you have your cathedral. You could not make a great piece of music by simply multiplying the same tone or sound. In order to obtain the harmony of a great orchestra, you get together a large number of musical instruments, or you have a great number of human voices in a choir, and you combine them, then you have an infinite variety of quality and infinite variety of tone. You combine them in the absolute unit of the one great musical idea which you seek to express. But if this is true of such things, it is more true of Christ’s Church. If God had followed our idea, how simple a thing it would have been to make a united Church descending from Adam and Eve! We might think that was all that could be done, and there would be then no stones of stumbling. You could then watch this Church, and it would go on indefinitely and without limit. Now, what has God been doing? He has broken humanity up into infinite varieties. This has been his method. He has been driving it into every clime. He has been driving it into every age through the succession of centuries. He has been molding human nature under every variety of influences through all time, until he has got men in every age, every tribe, every tongue, every nation, every color, every fashion–in order to do what? Simply to build up a, variety, to build up the rich, inexhaustible variety which constitutes the beauty in unity of this great infinite Church of the first-born, whose final dwelling-place is to be in heaven. I say, under this dispensation God has left us free to form organizations. He has left us free to experience Christianity under all the conditions in which he has placed us; and the Christian religion which we receive takes various colors and tones from the nationality, from the tribe, and from the race. Undoubtedly, there is such a thing as schism. Schism is a great sin. But if the Church is a spiritual body, the sin is a sin against spiritual unity. All high-churchism, all claims that our Church is the one Church and only Church, are of the essence of schism; all pride and bigotry are of the essence of schism; all want of universal love, all jealousy, and all attempts to take advantage of others in controversy or in Church extension, are of the essence of schism. But surely it is not schism for each one of us to go out and develop in our own way. What is the result? I trust in this I am not narrow. I am not making any claim for Presbyterianism; I am talking of the whole Church of God that is truly loyal to Christ, animated by one Spirit, comprehended in one body. On the other hand, I hold that it is our interest to have denominational differences in order to maintain what God has given us. I believe the Church is like the world, and consists of many forms, many races. I say to every race, Maintain the integrity of your race; and to every nation, Maintain the integrity of your nation, that it be not antagonized by other nations. This is the duty which God has historically devolved upon us. I say, then, if Presbyterianism be true, maintain the type which God has given you; and I would say the same to our Baptist friends, and to our Episcopal friends and Methodist friends. I believe all our denominations are historically justified; that they all represent great ideas, either theoretically or practically, which God commits to them, in order to have them act upon them; that our duty is to maintain our true inheritance, and to prove true to the stock from which we came. We do desire comprehensively to work together toward unity, but mongrelism is not the way to get it. It is not by the uniting of types, but by the unity of the Spirit; it is not by working from without, but from within outward; by taking on more of Christ, more of the Spirit, that we will realize more and more the unity of the Church in our own happy experience.